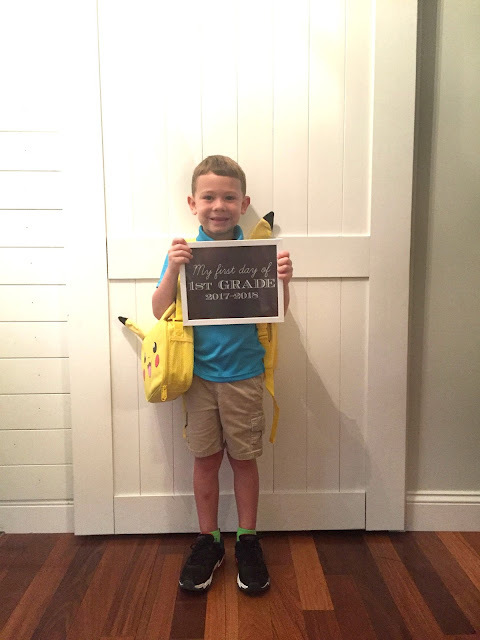 Welp, we made it to Henry's First Day of First Grade Recap! 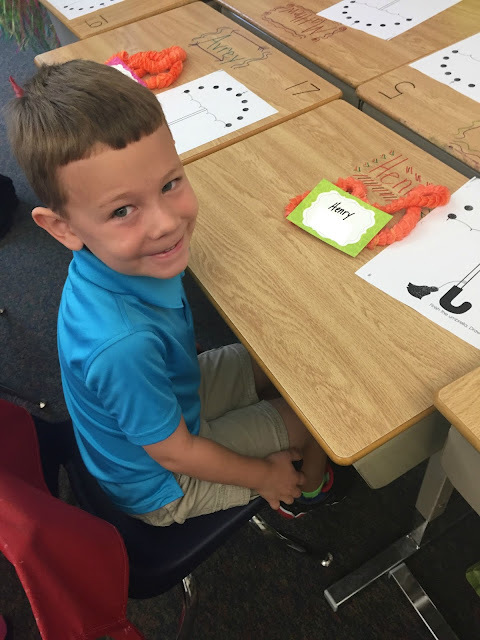 I still can't believe we have a first grader! 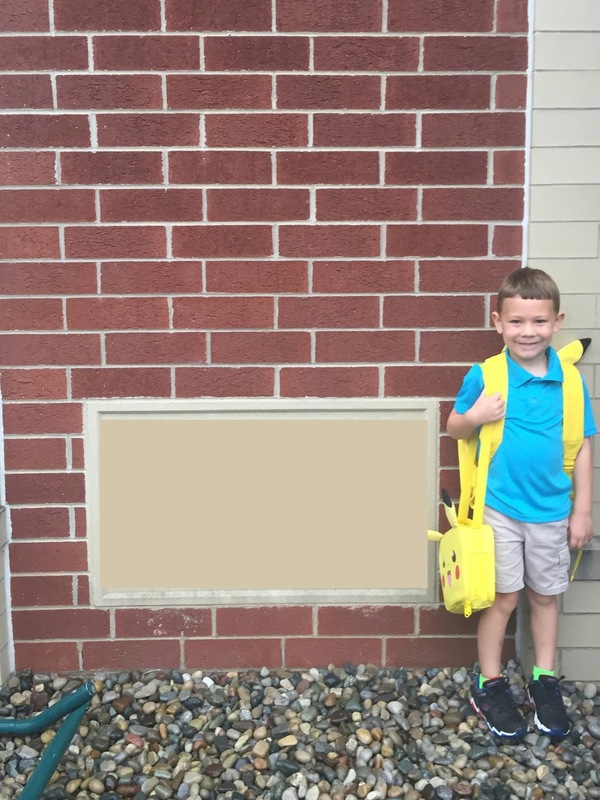 This kid was excited to go to school and he couldn't wait to get started! 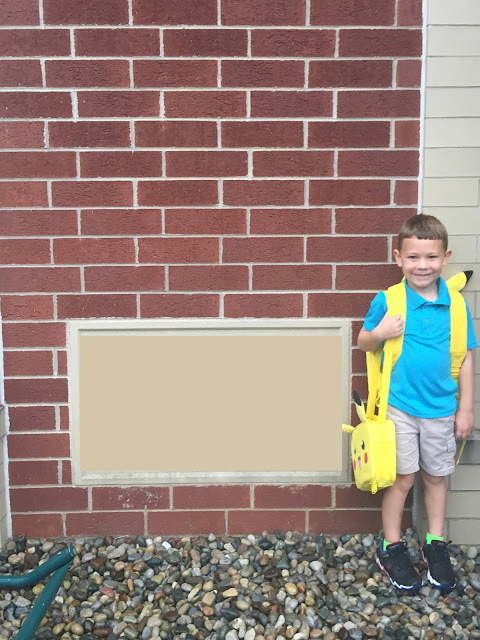 Henry was, and still is, all about Pokemon, so I was sure to order this Pokemon Picachu backpack and this lunchbox. 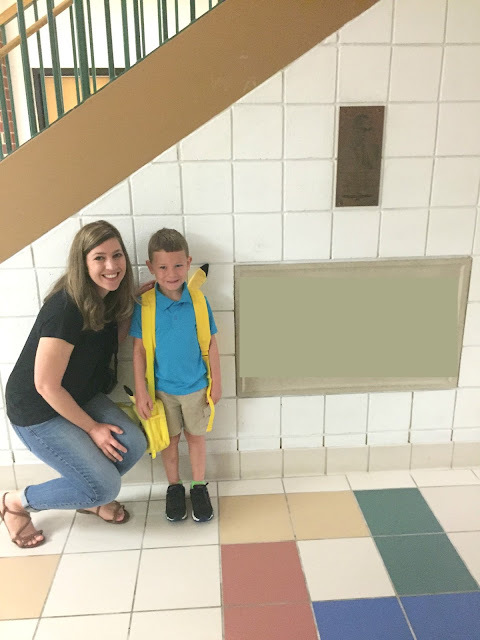 We arrived at Henry's school, and although it was easier to let him go this year than last, it was still difficult for me to hold back the tears. 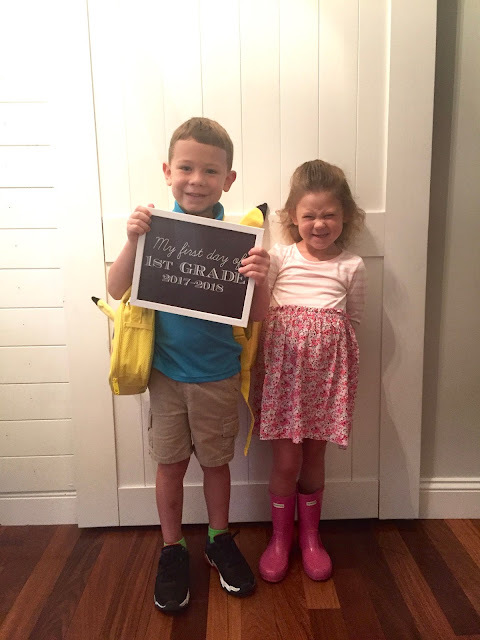 It wasn't until I saw another first grader crying that I started to tear up. Look at that sweet, little man. I swear I can still see a little bit of baby fat! Gosh, I just love his little face so, so, so much. 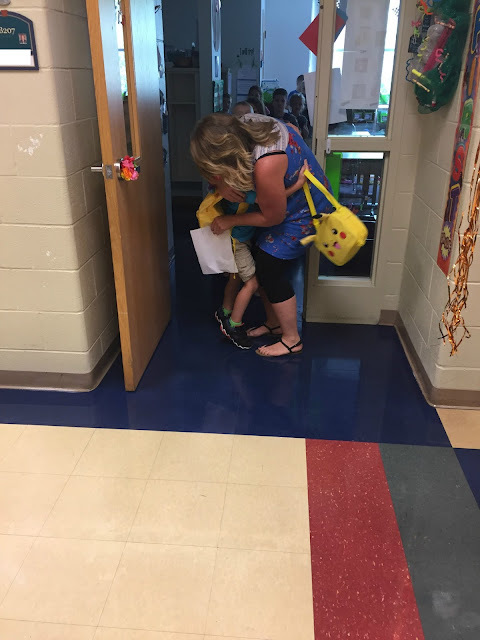 But not without this Mama following him up to his classroom. I still can't get over how Henry is sitting at a desk now. I feel like I'm going to cry again, what is wrong with me?!??? It was time for some one-on-one time with little Miss. Eliza for a bit before leaving to pick up my friend's little girl from her preschool. Eliza and my friend's little girl, Molly, played so well together. It was only their third time seeing each other and Molly's first time to our house. Having Miss. Molly over also served as a good distraction for me on Henry's first day of school. 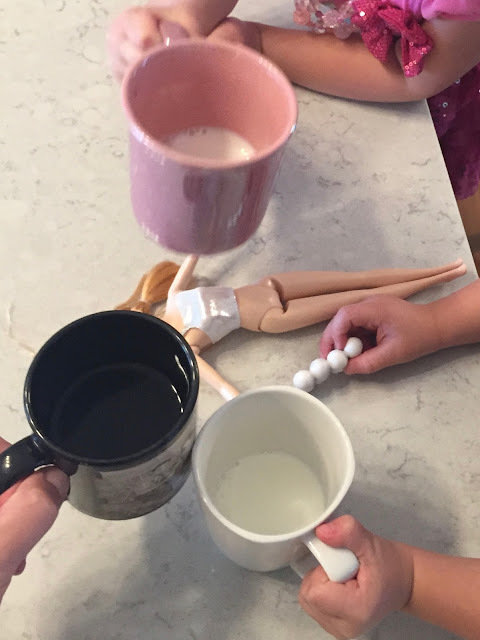 The girls and I enjoyed an afternoon beverage. They had milk and I had some much needed coffee. Oh, and as you can see, Barbie was there, too. Haha! Later in the afternoon we dropped Molly off at her Mom's school,where she now teaches, and then Eliza and I were off to pick up Henry! 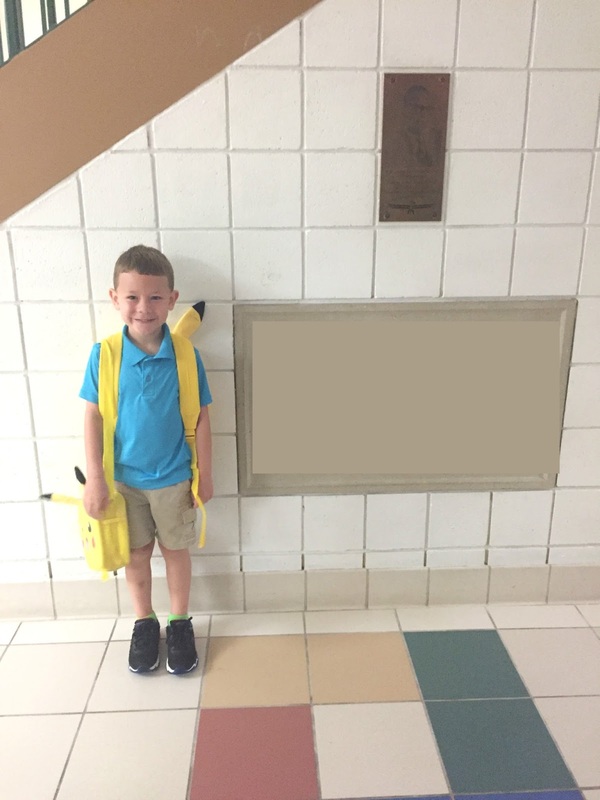 I couldn't wait to see him and hear all about his first day!!!! Henry gives THE best hugs! He was all smiles and had a fantastic day! Per Henry's request, and as his first day of school tradition, we headed over to Bob Evans for breakfast for dinner! We discussed all-things-school over eggs, bacon and piggy pancakes. There you have it - Henry's first day of first grade!